Witam ponownie. Pracowicie odkopuję się z wszelakich zaległości, tworzę, piszę, fotografuję, przepycham z miejsca na miejsce... z jednej strony ilość przytłacza, z drugiej cieszy i daje siły do dalszego działania, dyscyplinuje i mobilizuje. Hi again. I keep working, digging in my deadlines and emails: I'm planning, designing, taking photos, making projects again.... and there is normal life in between too! On the one hand the amount of work is a bit overwhelming, on the other: it gives me motivation, and power to discipline myself and go on. Today I want to tell you about bags - but not the ones which make my husband say: "Yes, but you should throw away one of the older ones first...". 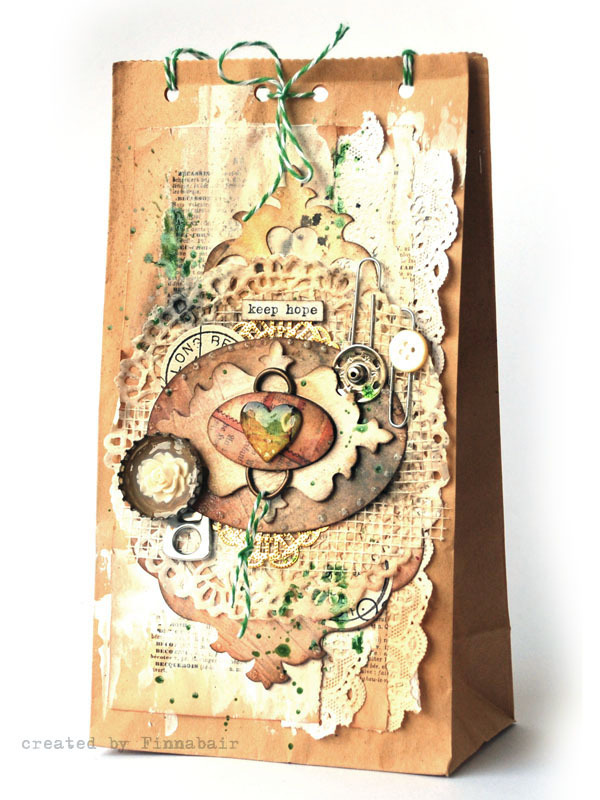 I mean brown paper bags, beautiful, tempting with color and texture, perfect for many different creations. I had a crush on them some time before - but these were 100% scrapbooking, heritage projects which started a small family album. 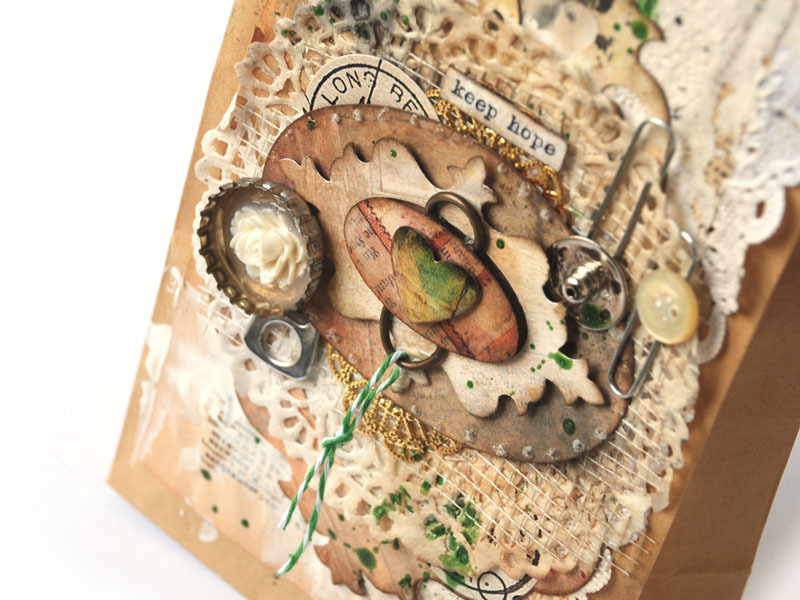 This time I come back with, gesso, paint and gels in my hands... and it is so exciting! Zacznijmy od Makowej Torebki Papierowej - wykonanej jako lift ślicznej karteczki Enczy w kolejnej edycji zabawy w liftowanie na blogu Scrapki.pl. Serdecznie zapraszam do zabawy! Let's start with the Poppy Bag - made as a lift of one of the beautiful Encza's projects. It is our new challenge on Scrapki.pl blog - take a peek at the great inspirations and join the fun here! 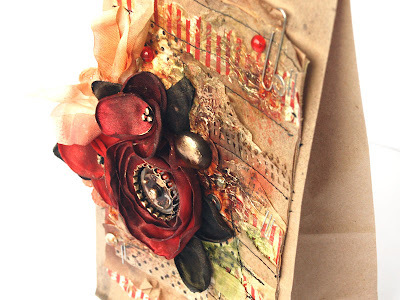 Poppies I used on this project are part of new Prima - Donna Downey line. 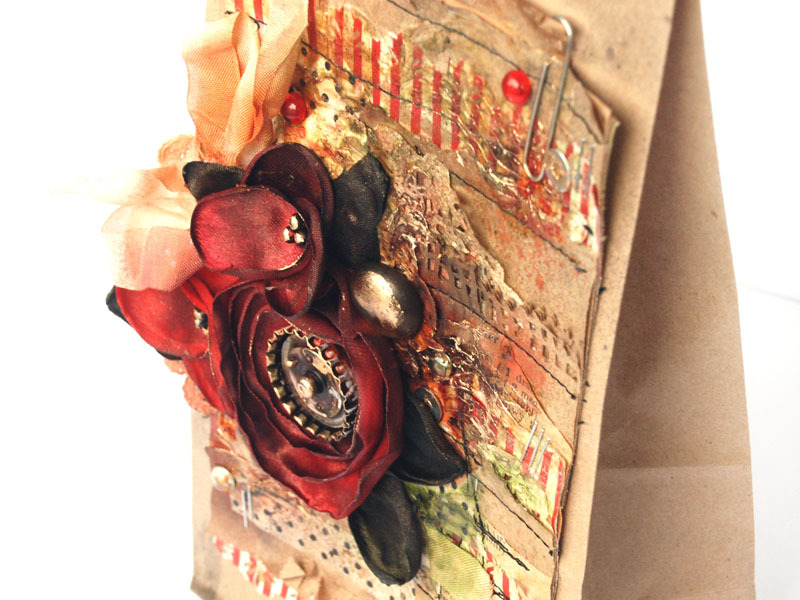 You can read more about this talented artist on Prima blog, here and of course on her website too! This bag was made as a gift wrapping for one special person - and possibly because of that it just made itself in a mnute! 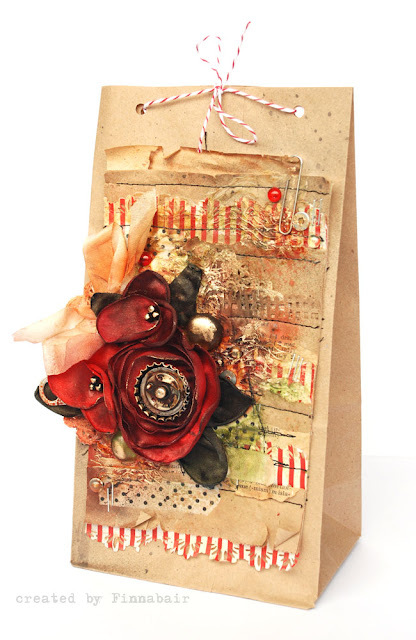 You can see this project step-by-step on Sizzix blog, in the place I share all of my Sizzix mini-tutorials. Enjoy! If you take a closer look you'll see that I used scraps of my first paper collection for 7 Dots Studio - Dreamer! Yes, I still have some of these papers hidden in my stash! I am following you for some time now and I love your work of art, your style! You create very very beautiful things! When I'll grow up I wanna be like you ;) ! Oh..and if you don't have enough room for those yummy bags... I can offer them a safe home ;)! Anyway... just so you know: I really love what you create! the bags are beautiful!! wow! love these! Wow !!! These are gorgeous !!! I just want to tell you, that I love your style!!! 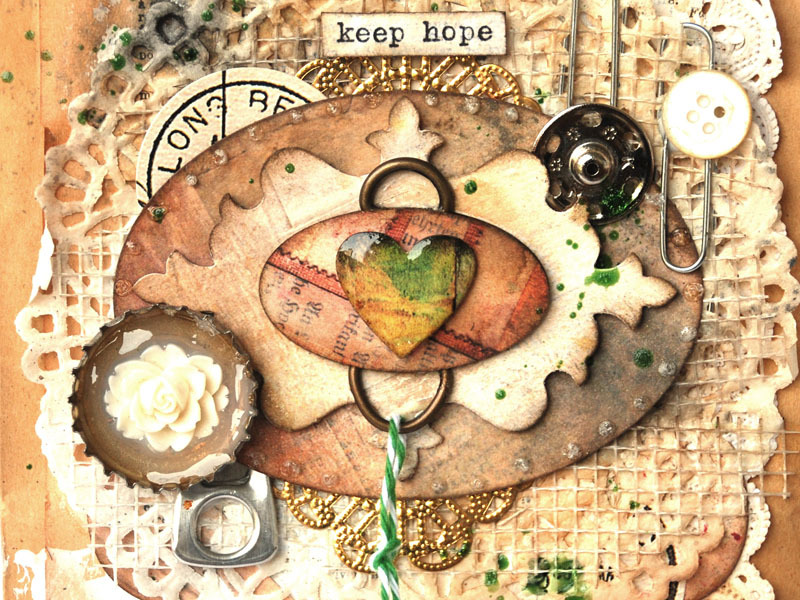 I am totally in love with your scrap! Wonderful again!